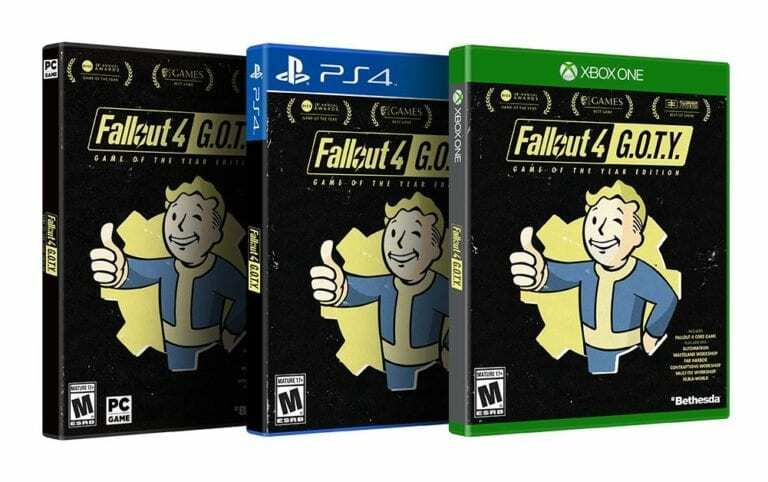 Fallout 4 has been out since the end of 2015 so we all know what time it is – time for Bethesda to bring us the inevitable Game of the Year edition. If you still haven’t taken the time to adventure through post-apocalyptic Boston, or just have the base game, then you may want to pick up the new edition when it launches on September 26th. The GOTY edition comes with all the latest updates, graphical improvements, mod support, and additional content ever released for the game. This will include two full campaigns taking you out of the Commonwealth with Far Harbor and Nuka World and a smaller campaign with Automatron. Building your own vault in Vault-Tec Workshop, further world building with Wasteland Workshop, and using the Contraptions Workshop are add-on features also included. This is on top of the main campaign from Fallout 4 that has over one-hundred hours of content. To celebrate the Game of the Year Edition, Bethesda will be releasing a limited number of the Pip-Boy Collector’s edition across North America. If you want one you better be quick – and prepared to pay $99.99.